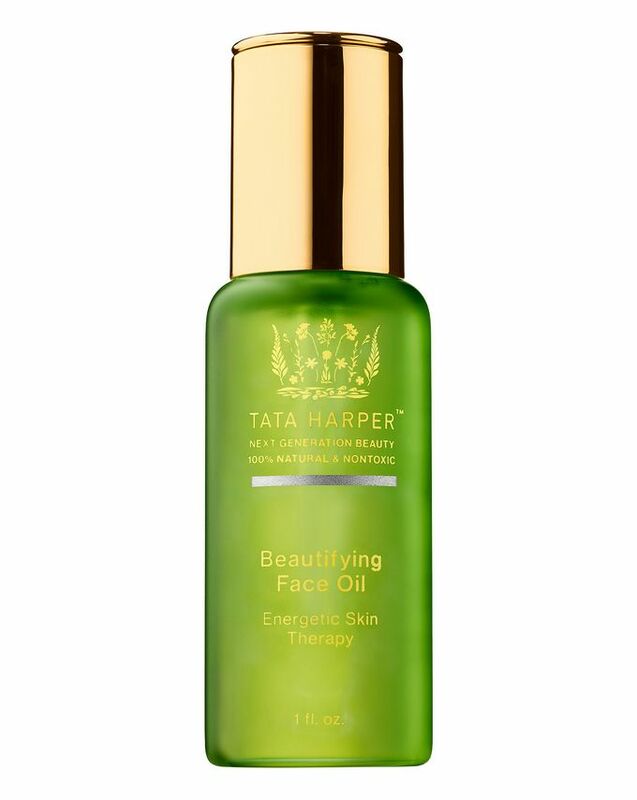 Luxurious yet lightweight, this fast-absorbing face oil helps to instantly energise the skin’s appearance, leaving it brighter, firmer and more hydrated. Enriched with softening jojoba and argan oil, soothing arnica and moisturising calendula extracts, this luscious cocktail revitalises skin the (100%) natural way. We’re in love – again! Instantly energising the skin’s appearance, Tata Harper’s luxuriously lightweight Beautifying Face Oil sinks swiftly into skin to infuse cells with its abundant natural goodness. A nourishing cocktail of softening jojoba esters and argan kernel oil, soothing, anti-inflammatory arnica extract and moisturising calendula flower extract, it revitalises skin for a firmer, more lifted look, delivering long-lasting moisture and supporting barrier protection for a super-soft, smooth finish. Beautifully versatile, a few drops can be added to your daily serum for an intense boost of moisture. Tip: Cocktail a few drops of the Beautifying Face Oil together with your daily serum for added moisture. So the first time I used it, I really noticed a difference, my skin got soft and I had a nice glow, but after using it for 2-3 months now I can say that it doesn't really make a difference in my skin and complexion overall and you can't really mix it with your foundation or concealer whatsoever. Anyway 4 Stars because it's natural and nontoxic, but I don't think I would repurchase it. Top quality. Won't be without it!!! I have been hooked ever since trying it in the U.S. So happy I can buy it in the UK now! It is most precious and pure blend of oils that smooth and nourishes my skin at night. No breakouts. I have blemish prone skin with fine lines and dry patches and rosacea. I tried other oils but nothing compares to Tata. Amazing product. I've been using this under my eyes, around my mouth and on my cheeks every morning and my skin has never looked better.